On Thursday July 12th APTs and other healthcare professionals met at the Gordon Museum for a cultural study evening. The evening centred on two talks from often speculated upon faiths, Scientology and Paganism. On Thursday July 12th APTs and other healthcare professionals met at the Gordon Museum for a cultural study evening. The evening centred on two talks from often speculated upon faiths, Scientology and Paganism. The talks provided thorough and enlightening information about the whole of their beliefs as well as their views on death. The first talk was delivered by Mark Pinchin the public affairs director of the Church of Scientology London. An often little understood and maligned belief system it was a good opportunity to learn more about Scientologists and their beliefs. Mark began by providing us with some background history of L. Ron Hubbard, the founder of the Church of Scientology. Hubbard was a man fascinated with life and what made people tick. He was an engineer, a pilot, a naval officer and an explorer. In early 1945 whilst recovering at Oak Knoll Naval Hospital from injuries sustained in combat Hubbard employed the first techniques of his theory of Dianetics to aid the recovery of other injured servicemen. Hubbard’s theory of Dianetics is that the mind consists of two parts, the ‘analytical mind’ and the ‘reactive mind’. The reactive mind acts as a record of shock, trauma, pain and otherwise harmful memories. Dianetics is a proposed method to erase these experiences to achieve what is referred to in Scientology as a state of ‘Clear’. ‘A Clear’ is one who is thought to no longer possess his reactive mind. By using Dianetics in the hospital to focus on the other patient’s mental trauma Hubbard began to see positive effects in their physical recovery. This lead Hubbard to the refinement and testing of his theory of Dianetics on which he wrote three books between 1948 and 1950. In 1952 after having determined a human being to be 'fundamentally spiritual' Hubbard began a track of enquiry to determine the fundamental truths of spiritual existence. This same year he recorded 182 lectures and a written work entitled Scientology: A history of man. In 1954 he authored The Creation of Human Ability; and these two books along with his preceding discoveries compromise the core beliefs of Scientology. So, what is Scientology? Mark explained that the word Scientology is comprised from 'Scio' the Latin for knowing and 'logos' the Greek for study so Scientology is The Study of Knowledge. Scientologists say that Scientology is not something you believe it is something you do. The core philosophy of Scientology is that: Man is a spiritual being, the spirit can be separate from the body whilst alive, and that the spirit is separate from but can control the body. In Scientology they refer to the concept of the spirit as a Thetan. The term derives from the Greek Theta which in Scientology represents ‘The source of life, or life itself’. It is believed that it is the Thetan which commands the body. It is believed that man is composed of a body, a mind, and a Thetan and that the body carries around the Thetan in the head. Mark then moved on to the subject of Scientologist’s beliefs regarding death reading excerpts from a paper entitled ‘Death’ written by L. Ron Hubbard in 1958. Scientology teaches that man is a spiritual being who has lived before and will live again and Mark explained that scientologist’s beliefs regarding death are relatively simple. They believe that life follows a simple arc comprising of a beginning a middle and an end. These stages are Creation, Survival and Disposal of the remains. It is believed that when the body dies a separation between the body and the Thetan occurs, the Thetan leaves the body and takes with him the knowledge that he has gained in this body onto the next one. They believe that the Thetan will improve their next life as it takes with it this knowledge. Scientologists have a simple funeral service, much like a traditional church service, except the words spoken are very different. They do not talk about the life that the body and mind led; rather they wish the Thetan a safe journey from this body and a speedy return to the next one. Even though they believe that the Thetan will return to another body they also believe that grieving for the loss of a loved one’s body is a normal process. Scientologists have no restrictive views or doctrine regarding post mortems and organ donation. It is the choice of each individual Scientologist as to their choices on post mortem and donation. A member of the audience asked Mark how Scientology views suicide? Mark responded that there is no scripture about being against suicide but that if someone was a Scientologist who wanted to improve their survival it would be hoped they would not go the route of suicide. Another audience member asked Mark if Scientology actively encouraged grieving or a 'get over it' approach? Mark responded that Scientologists believe that it is normal to grieve and the process is not stifled, however Scientologists would be encouraged to undergo Dianetics counselling soon after a bereavement in order to address their emotions as it is felt to be unhealthy to drag out the length of time that ‘sad emotions’ are allowed to persist. Undergoing Dianetics counselling to address these emotions will improve the Thetan’s survival. Another question posed to Mark was the approach of Scientologists to being sick and the use of medical interventions? Mark responded that Scientologists will lean towards a more natural way to heal the body where possible. A Scientologist would undergo surgery but would avoid treatments such as radiotherapy and chemotherapy; they would prefer to use methods that would do less harm to the body. Scientologists are anti ‘doing things or procedures to people that are unnecessary’ A Scientologist would not visit a Psychiatrist or take antidepressant drugs, they would prefer to undergo Dianetic counselling and Auditing (Audere=to listen, a process of talking to another scientologist) to unburden and heal mental health issues. This was a very informative and insightful talk, well delivered by Mark who gave us a better understanding of the basic principles of Scientology. The second speaker of the evening was Luthaneal Adams, a practising Pagan for nearly 20 years and the Deputy District Manager for The Pagan Federation London. Luthaneal began by explaining that 'Paganism' is a very wide umbrella term covering a vast spectrum of people. 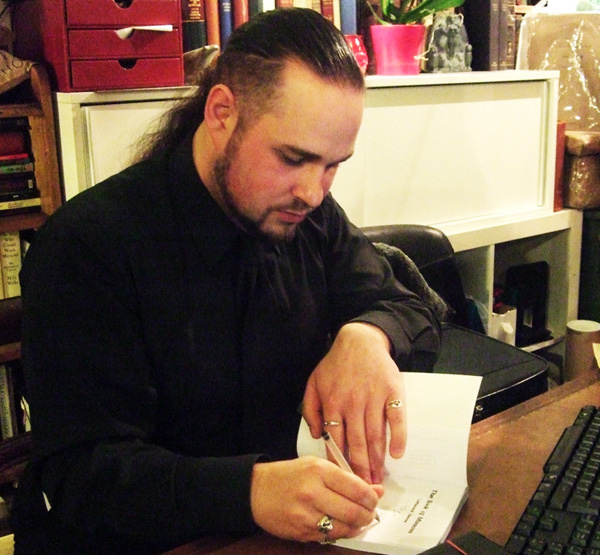 Firstly Luthanel gave some background information on himself and the Federation, Luthaneal himself having written several books on the topic of Paganism. 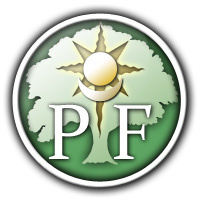 The Pagan Federation has been in operation since 1974 and is the largest Pagan organisation in the world. They are the first point of contact for Pagans for all kinds of issues and information and are highly active in fighting against discrimination against Pagans. The fastest growing belief system? Luthaneal then went on to provide some general information on Paganism. He explained that Paganism is possibly the fastest growing belief system in the world at present. Pagans may call themselves many things such as Wicca, Druid, Heathen or Shaman. The word Pagan itself is hard to define, it literally means any set of religious beliefs that are not Christian or Abrahamic in origin. The Pagan religions can vary greatly in their belief systems. Some may be Polytheistic – believing in many gods, Animistic – believing everything has a spirit, they may include magic, some have an initiation ceremony, and there are some that are revivals of very old religious beliefs e.g. Celtic and Native American. The Pagan faiths have generally been separated by scholars into three different groups: Historical Polytheism, Folk/Ethnic and Neopaganism. Pagans may be trained in particular traditions or they may follow their own inspiration. Paganism is not dogmatic and Pagans pursue their own vision of the divine as a direct and personal experience. Current practice of Pagan beliefs is often referred to as 'Modern Paganism' and is deemed a revival of an older Pagan religion. There was a gap of several thousand years between the original Pagan practices and their re-emergence in the 1700’s to 1900’s when it became fashionable to have a Pagan reverence. In the 1900’s there was an emergence of Occult Societies upon the interaction of eastern and western cultures. Groups such as The Hellfire Club, Theosophic Society and Golden Dawn emerged and the publicity surrounding these groups generated in the general public an interest in the ancient beliefs. Luthaneal also gave us some very interesting information on some different groups of Pagans and their individual beliefs. Wicca began to emerge in its modern form in the late 1940’s. There is no strict theology adhered to Wicca. The purpose of Wicca is to put the individual and the group in harmony with the divine creative principle of the cosmos and its manifestations at all levels. It is a cyclic belief system following the god and goddess of Wicca and following the cycles of the seasons. Death: The general belief in Wicca regarding death is that one dies, spends a short period of time in the afterlife (called the Otherworld or Summerland) and is then reborn. They have no strict beliefs regarding funerals and the choice is left to the individual. The revival of Druidry began in the 1800’s and was based on a romanticised Victorian version of what druids were. Druidry incorporates Celtic beliefs and has a very strong belief in a holistic approach to life. There is again no strict doctrine of beliefs and practices and different groups will practice as to their individually held beliefs. Death: Druids hold no negative views on death and believe it is a very natural process. They have a strong belief in the spirit world and believe in repeated rebirth/reincarnation, believing that a spirit can be reborn as both human and animal entities. Funerals are seen as a celebration. Druids celebrate the life of the individual as death is also seen as a time of rebirth, as someone dies in one world they are reborn in another. Heathenry is an ancient Germanic belief system. It persists largely in Greenland although the beliefs have changed slightly since their inception. Heathenry is a Polytheistic belief system and recognises and a large number of gods and spiritual entities. The heathen gods are best recognised from Norse Mythology as the gods of Asgard and includes such gods as Odin, Baldr, Loki and Thor. Heathenry is an uneasy belief system to reconstruct and practice in modern times. Death: There are many different views in Heathenry about what happens after death but in the main Heathenry focuses on ‘right living’ in the here and now and does not place a great emphasis on the afterlife. Many believe that after death one goes on to reside in one of the great halls of one of the gods, depending on how one dies will dictate which god’s hall. There is no official doctrine relating to funerals but it is often the practice to recite the ancient writings of the Germanics at a funeral service. Shamanism is a very charismatic belief system. Shamanic practices are an underlying aspect of all expressions of Pagan religion. Shamanic practice is generally characterised as seeking vision in solitude and is deeply rooted in the mysteries of nature. Death: Shamans believe that they are able to walk in both this world and the other, and that Shaman act as an intermediary between the spirit world and everyday life. In Shamanism it is believed that a Shaman can reach the deceased soul in the spirit world and guide it to where it belongs. There are rites performed prior to death to assist the soul on its journey and funerary practices can vary between Shamanic groups across the globe but are often rooted in the practices of societies such as the Native American tribes. In Paganism there is no strict doctrine governing Post-Mortem Examination and Organ Donation, some Pagan groups may have their own beliefs on this but in general the choice is that of the individual Pagan. Luthaneal informed us all that The Pagan Federation has its own chaplaincy service that can be called upon by individuals and organisations such as hospitals and prisons for attendance or just advice. At the end of the session an audience member asked Luthanel if he had encountered the practice of 'Soul Midwifery' a service where a soul midwife, a non-medical holistic companion guides and supports the dying to facilitate a tranquil death and work holistically with both the soul and the spirit of the dying patient. Luthanel responded that he had not come across this practice but that it sounded lovely, and very like Pagan ideology. Luthaneal was an engaging and interesting speaker and gave a very good overview of Paganism. I personally now feel that I have a greater knowledge of these two belief systems and would be better able to assist patients and families of these faiths should I encounter them. At the very least I have come away armed with the knowledge of who to turn to for more guidance. I would like to thank Ben Deakin and the London and South East Regional Network for arranging such an interesting evening.